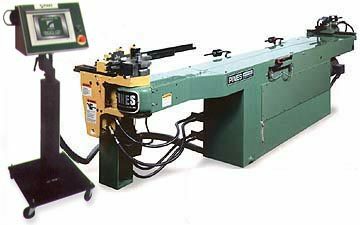 A mandrel tube bender is a specific type of tube bending machine. It is so called only because it uses a mandrel to maintain the diameter of the tube being bent. Normally, when a tube is bent, it loses internal diameter and can wrinkle or even break. The mandrel, inserted into the tube at the point of the bend, keeps a constant diameter at the bend and reduces deformation. 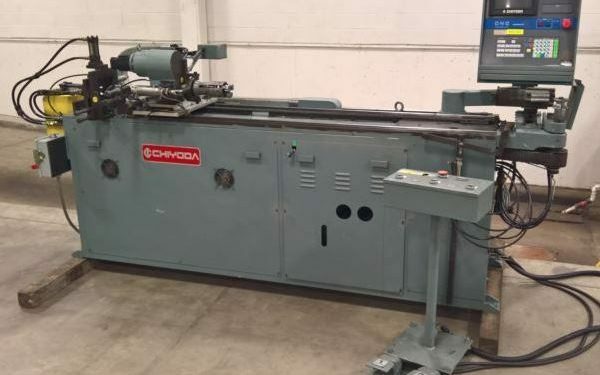 For answers to your questions or more information on mandrel tube benders call Liberty at 847-276-2761 or send us an email sales@libertymachinery.com. Liberty Machinery buys and sells all types of tube benders. 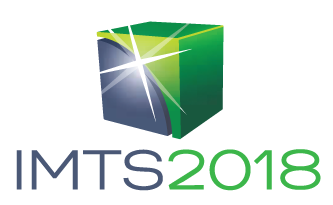 We are your trusted source for high quality mandrel tube benders and other used equipment. A mandrel tube bender works lust like a normal tube bender, except a mandrel is inserted into the tube and placed at the point of the bend. While there are several different types of mandrels, the most common includes a straight rod attached to several flexible balls. The mandrel must match the diameter of the tube or pipe to be bent. After the mandrel is inserted, the pressure and wiper dies push the tube against the former die to the desired angle. Usually this is up to 1.5 times the diameter of the tube. 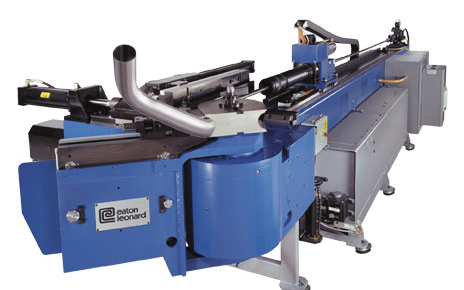 Mandrel tube benders do not allow rebending as other tube benders do. Liberty is always looking for used tube benders to buy for inventory. Contact us and let us know what you have for sale. We’ll be happy to give you a free quote. 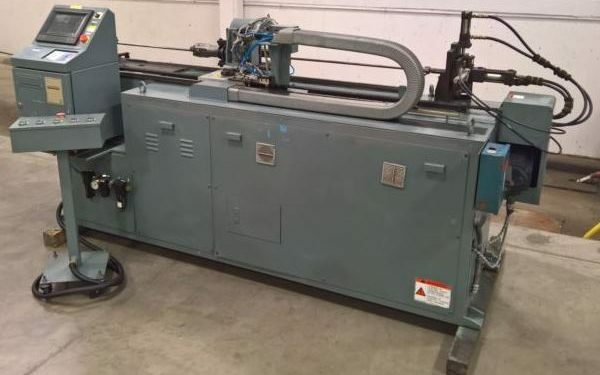 See our used tube benders for sale.